The TLC-2 Deluxe Teacher's Learning Center is a mobile classroom on wheels, the ideal teaching and learning station for any education environment. 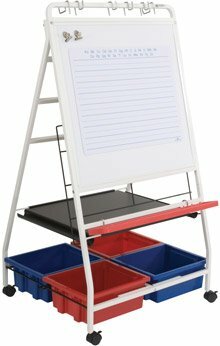 Features a dry erase surface that doubles as a magnetic bulletin board. Includes a wire book holder, a tray and four plastic tubs for ample storage of books, toys and learning accessories. 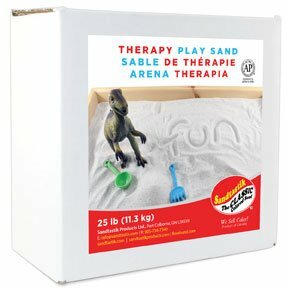 Red blow molded plastic tray is included for markers and erasers. Magnetic accessory pad with permanently fused penmanship lines included. Frame is white powder-coated steel and includes 2" locking casters. Unit is 55 1/2"H x 30"W x 26 3/4"D.